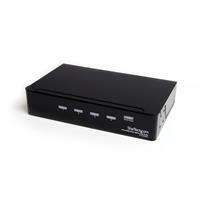 The ST124HDMI2 4 Port High Speed HDMI® Video Splitter with Audio lets you share a single HDMI source with up to 4 HDMI or DVI-D enabled displays/receivers, without sacrificing image or sound quality. 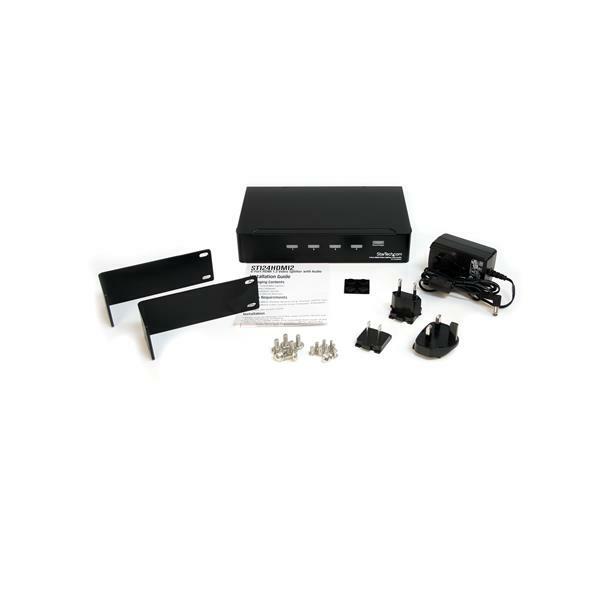 Mounting brackets are included for a tidy, professional installation. 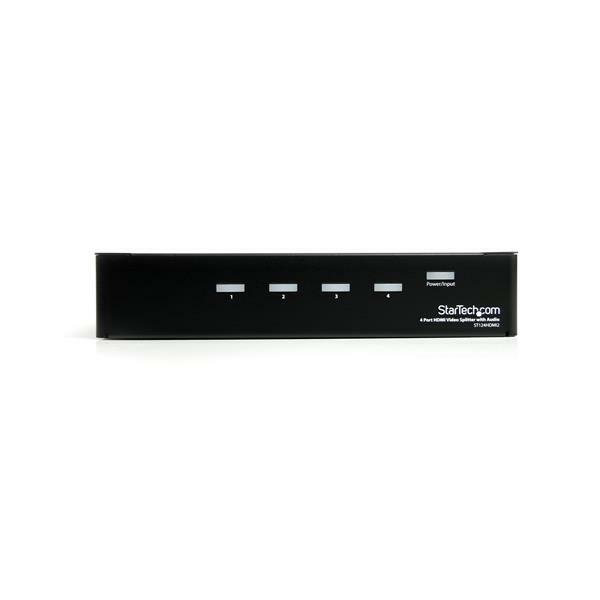 Supporting true HD video resolutions up to 1080p, this HDMI splitter allows you to situate your HDMI-capable displays up to 50 ft (15.2 m) away from the splitter. 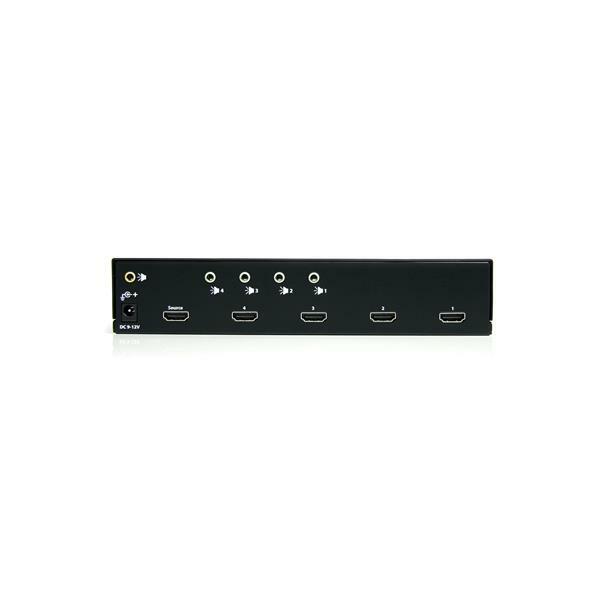 This versatile HDMI splitter features 3.5mm audio input and output connections giving you the option of sending your accompanying audio signal through the HDMI cable or through a separate 3.5mm stereo audio channel.